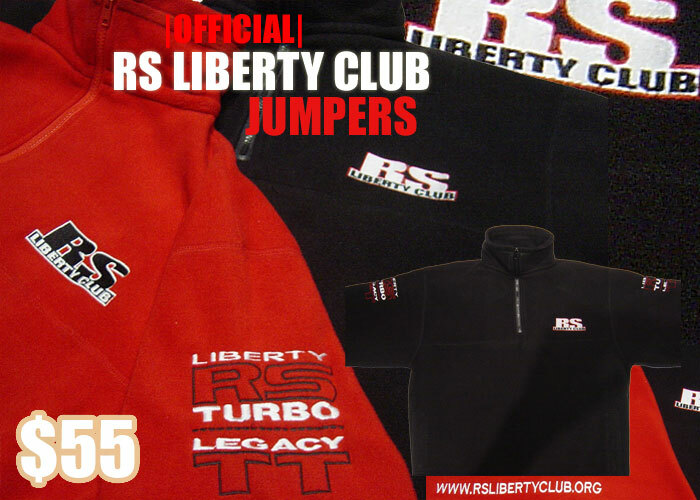 Due to demand we are running another batch of RSLC Jumpers. Orders will be taken from now to the end of September 04', so get in quick. They come in 2 different colours (red &amp; black) and sizes from XS - XXL. Price is $55 + $5 postage. Melb buyers can pick up. This is for Australian members only. To order send an email to merchandise@rslibertyclub.org with your order and we will get back to you with payment and postal details. Please DO NOT send PM's, email only! If you have any questions feel free to send an email ;) please write your username..
We have received quite a few email orders, but only a few payments. We MUST have your payment if you want a jumper this order! There are only 10 more days to order and then im sending the orders off. No more order being taken of today guys. If you missed out, keep an eye on this space for upcoming orders.